High revision rates attributable to adverse reactions to metal debris have been reported for total hip arthroplasties (THAs) with metal-on-metal implants and hip resurfacings. The effect of revision on blood metal ion levels is described only in small series, the clinical results of revisions have been contradictory, and concerns regarding component loosening have been presented. We asked: (1) Did revision surgery result in a reduction to normal for whole blood cobalt (Co) and chromium (Cr) levels (2) What changes to the Oxford Hip Score were observed after revision of these hips with metal-on-metal implants? (3) Were there radiologic signs of component loosening observed on 1-year followup radiographs? Between September 2010 and April 2013, 154 patients (166 hips) who had THAs with implantation of the Articular Surface Replacement (ASR™) system and 44 patients (49 hips) who had hip resurfacings of the ASR™ implant underwent revision surgery for adverse reactions to metal debris at our institution, after recall of these components in August 2010. General indications for revision of these implants included a symptomatic hip and/or a predominantly solid pseudotumor seen on cross-sectional imaging. Since recall, patients were systematically followed after revision with Oxford Hip Score questionnaires, blood Co and Cr measurements (analyzed from whole blood with dynamic reaction-cell inductively coupled plasma-mass spectrometry), and plain radiographs at 2 and 12 months after revision surgery, and thereafter at 2-year intervals. Preoperative and 1-year postoperative blood Co and Cr values were available for 93% (185 of 198 patients), Oxford Hip Score for 76% (151 of 198 patients), and plain radiographs for all patients. Whole-blood levels of Co decreased below the 7 ppb cut-off value in all patients with revision of unilateral THA or resurfacing, however, blood Cr levels remained elevated in four of 90 patients (4%) in the unilateral THA group and four of 34 patients (12%) in the unilateral resurfacing group. All had ultrahigh (> 40 ppb) preoperative Cr levels. Cr levels remained elevated in six of the patients at the 3-year followup. The median Oxford Hip Score improved from preoperative to 1-year postoperative in the unilateral THA group (38 [4–48] to 40 [9–48], p = 0.049) and in the unilateral hip resurfacing group (37.5 [9–48] to 44 [13–48], p = 0.011). No improvement was seen in patients who had bilateral THAs (37 [14–48] to 41 [9–48], p = 0.196). Only minor radiographic abnormalities were seen, with no suspicion of component loosening. Metal-on-metal THAs and resurfacings have raised concerns and an emerging rate of revisions has been seen for many different metal-on-metal hip prostheses worldwide. Revision surgery seems to be effective for removal of the systemic metal ion burden, even though blood Cr remained elevated in a few patients for more than 3 years after removal of the metal-on-metal implant. In patients with bilateral metal-on-metal hip replacements the remaining metal-on-metal implant still supplies the body with Co and Cr ions after a unilateral revision, and therefore followup should be continued. Adverse reactions to metal debris do not seem to compromise implant ingrowth after revision surgery. However, as some of our patients still had a poor functional outcome at 12 months after revision surgery, additional research is warranted to determine the optimal time for patients to undergo revision surgery for suspected adverse reactions to metal debris. The institution of one or more of the authors (OL, AR, PE, JP, TP, AE) has received, during the study period, funding from The Competitive Research funds of Pirkanmaa Hospital District, Tampere, Finland, representing governmental funding. One of the authors certifies that he (JP), or a member of his immediate family, has received or may receive payments or benefits, during the study period, an amount of USD 10,000–100,000, from Zimmer (Warsaw, IN, USA), and an amount of USD less than 10,000 from DePuy (Warsaw, IN, USA). One of the authors certifies that he (TP), or a member of his immediate family, has received or may receive payments or benefits, during the study period, an amount of USD less than 10,000 from Smith & Nephew (Memphis, TN, USA), DePuy Orthopaedics (Warsaw, IN, USA), Styker (Mahwah, NJ, USA), Biomet (Warsaw, IN, USA) and Zimmer (Warsaw, IN, USA). One of the authors certifies that he (AE), or a member of his immediate family, has received or may receive payments or benefits, during the study period, an amount of USD less than 10,000, from DePuy Orthopaedics (Warsaw, IN, USA) and Stryker (Mahwah, NJ, USA). A comment to this article is available at http://dx.doi.org/10.1007/s11999-015-4190-4. A high risk for revision surgery has been reported for total hip arthroplasties (THAs) with metal-on-metal bearing surfaces and hip resurfacings in registry studies [2, 27]. Adverse reactions to metal debris  associated with release of cobalt (Co) and chromium (Cr) from the metal-on-metal bearing surface are a major reason for revision in THAs with metal-on-metal implants and hip resurfacings [2, 27]. Failures and complications of the revised metal-on-metal hip resurfacings [7, 8, 9, 14, 17, 18, 19, 23, 28, 31] and THAs [23, 25, 30, 33] have been reported. However, the reduction in blood and serum Co and Cr after removal of poorly functioning metal-on-metal components has been described only in small cohorts [4, 12, 25]. In addition, improving [7, 8, 14, 17, 23, 28, 31] and poor  clinical scores have been reported for revisions of hip resurfacings with metal-on-metal systems, whereas similar studies of THAs with metal-on-metal systems are scarce [13, 15, 23]. Most of the studies have included various reasons for revisions, and few have suggested that the adverse reactions to metal debris-related disorders provide worse clinical outcome compared with other reasons for revision [18, 31]. Postoperative component loosening also has been described, with speculation regarding metal ions possibly impairing bone ingrowth . We therefore sought to evaluate a large cohort of patients whose index procedure involved a THA with implantation of a recalled metal-on-metal or hip resurfacing system (identical bearing surfaces), who later underwent revision for adverse reactions to metal debris, and had a minimum followup of 12 months after revision surgery. Specifically, we asked: (1) Did revision surgery result in a reduction to normal for whole blood Co and Cr levels? (2) What changes to the Oxford Hip Score were observed after revision of these hips with metal-on-metal prostheses? (3) Were there radiologic signs of component loosening observed on 1-year followup radiographs? Between December 2005 and April 2013, we performed 263 revisions for 240 patients who had Articular Surface Replacement (ASR™; DePuy Orthopaedics, Warsaw, IN, USA) hip replacements at our institution. Of these, 198 were THAs and 65 were hip resurfacings with metal-on-metal systems. All were reviewed for potential inclusion in this study. After recall of the ASR™ prosthesis  in August 2010, we established an intensified screening program for all patients with ASR™ metal-on-metal hip prostheses. Initial screening included sampling patient blood for Co and Cr levels, administering the Oxford Hip Score questionnaire, a physical examination by a physiotherapist (A-MH, PS), and cross-sectional imaging with magnetic resonance imaging (MRI) as the primary imaging modality. If the patient had new or progressing symptoms or elevated metal ion blood levels, repeat MRI or ultrasound was performed. For this study, the inclusion criteria were: (1) index THA with the ASR™ prosthesis or hip resurfacing (no exclusion by primary diagnosis, age, or gender), (2) revision surgery performed for adverse reaction to metal debris after recall of the ASR™ prosthesis in August 2010, and (3) a minimum 1-year postoperative followup. We defined the revision as an open procedure with change of any component. One hundred ninety-eight patients met the inclusion criteria (166 ASR™ XL THA hip prostheses [US Food and Drug Administration (FDA) approved] and 49 ASR™ hip resurfacing systems [not FDA approved]) (Fig. 1). The flow chart for inclusion of our study patients is shown. Revision surgery for adverse reactions to metal debris was considered  if (1) an extracapsular thick-walled pseudotumor with atypical contents or solid-type pseudotumor was seen on MRI or ultrasound; (2) the patient had elevated Co and Cr ion blood levels and hip symptoms despite normal findings on imaging; or (3) the patient had a continuously symptomatic hip or progressive symptoms, regardless of imaging findings or blood metal concentrations. Blood metal ion levels were regarded as elevated if either Co or Cr exceeded 7 ppb . Failure was classified as being attributable to adverse reactions to metal debris  if any of the following criteria was met: presence of macroscopic synovitis or metallosis, a pseudotumor found during revision surgery, a moderate to high number of perivascular lymphocytes with tissue necrosis, and/or fibrin deposition in the histopathologic sample. Component loosening and periprosthetic fracture had to be clinically and radiologically ruled out. Infection was ruled out by at least five bacterial cultures obtained during revision surgery. There were 77 men (85 hips) and 121 (130 hips) women. The primary diagnosis was osteoarthritis in 156 (73%) hips. The mean age of the patients was 62.1 years (SD, 10.1 years), time from primary surgery to revision was 4.7 years (SD, 1.3 years), and mean postoperative followup was 2.3 years (SD, 0.6 years). Aseptic lymphocytic vasculitis-associated lesions (ALVAL) scores of the histopathologic samples obtained during the revision were low (0–4) in 49 of 161 hips (30%), moderate (5–8) in 98 of 161 hips (61%), and high (9–10) in 14 of 161 hips (9%) . At revision, an extracapsular pseudotumor was seen in 131 of 215 hips (61%) and osteolysis was seen in 88 of 215 hips (41%). Postoperatively deep vein thrombosis occurred in one patient, peroneal nerve palsy in one patient, and dislocations not leading to rerevision in two patients. Rerevision was performed for four patients owing to dislocations, for one because of deep infection and for another because of an acetabular fracture. In one patient, a residual pseudotumor was removed through an ilioinguinal incision. Revisions were performed by six orthopaedic surgeons (JP, TP, HS, PH, PA-M, SK) using a posterior approach. Possible extraarticular pseudotumors and inflamed and/or necrotic tissue with an overlying neocapsule found intraarticularly were aggressively excised with careful preservation of the neurovascular structures. Bone grafts were used in patients with marked osteolysis. The stems that had been used in 166 index THAs were SUMMIT® in 119, CORAIL® in 36, S-ROM® in nine, Prodigy® in one, and PROXIMA™ in one (all from DePuy Orthopaedics). In 164 (99%) hips with a stemmed THA, the well-fixed stem was retained and the cup revised. In two hips, the stem was replaced with a SUMMIT® (DePuy Orthopaedics) stem. In patients with an ASR™ hip resurfacing implant, the resurfacing head and the cup were revised. A SUMMIT® stem (DePuy Orthopaedics) was used in 38 hip resurfacing revisions, a Zimmer® M/L Taper (Zimmer, Warsaw, IN, USA) in four, an S-ROM® (DePuy Orthopaedics) in four, and a CORAIL® (DePuy Orthopaedics) in three revisions. Choice of revision implants was based on surgeon’s preference. However, the following principles were followed: (1) cementless components were used on the femoral and the acetabular sides, (2) in hips with substantial instability attributable to soft tissue imbalance, constrained liners were used, (3) in hips with satisfactory stability with trial components in situ, either a metal-on-polyethylene or ceramic-on-polyethylene bearing surface often accompanied with a lipped polyethylene liner, or a large-head ceramic-on-ceramic bearing surface (DELTAMOTION®; DePuy Orthopaedics) was chosen, and (4) a ceramic-on-ceramic bearing surface with a 32- to 36-mm head was chosen only for hips with excellent stability with trial inserts in situ. A cementless hydroxyapatite- and porous-coated monoblock cup with a ceramic-on-ceramic bearing surface was used in 64 hips (DELTAMOTION®; DePuy Orthopaedics). A cementless porous-coated modular cup (Pinnacle®; DePuy Orthopaedics) was used in 55 hips (ceramic-on-ceramic in 39, ceramic-on-polyethylene in nine, and metal-on-polyethylene in seven). A cementless porous-coated modular cup (Continuum®; Zimmer) was used in 61 hips (ceramic-on-ceramic in 32, ceramic-on-polyethylene in 15, metal-on-polyethylene in 11, and a constrained metal-on-polyethylene liner in three), and a cementless tantalum revision cup (Trabecular Metal™ Revision Shell; Zimmer) in 34 hips (metal-on-polyethylene in 25, ceramic-on-polyethylene in one, constrained metal-on-polyethylene liner in seven, and constrained ceramic-on-polyethylene liner in one). An Exceed® (Biomet, Warsaw, IN, USA) ceramic-on-ceramic liner was used in one revision. If the stem was retained and a ceramic head was used in revision surgery, a titanium (Ti) sleeve adapter was applied with a ceramic head, even if there were no signs of corrosion in the taper. All the revision components used, except the DELTAMOTION®, were FDA approved. Postoperatively, blood levels of Co and Cr were measured, the Oxford Hip Score questionnaire was administered  at 2, 6, and 12 months, and clinical evaluation was done by an orthopaedic surgeon at 2 and 12 months, and thereafter, at 2-year intervals. Patients whose symptoms were not resolving and/or whose blood metal ions remained elevated after revision, were invited for an additional visit 24 months after the revision. AP and lateral radiographs of the hip and AP radiographs of the pelvis were obtained preoperatively, at 2 to 3 months after surgery, and at the 12-month followup. Patients’ blood levels of Co and Cr were measured from samples obtained from the antecubital vein using a 21-g needle connected to Vacutainer™ system (Becton, Dickinson and Company, Franklin Lakes, NJ, USA) and trace element blood tubes containing sodium EDTA. The first 10 mL was used for other analyses to prevent Co and Cr contamination from the needle, and blood Co and Cr levels were measured from the second sample. Concentration measurements were performed with dynamic reaction-cell inductively coupled plasma-mass spectrometry (Agilent 7500cx, Agilent Technologies, Santa Clara, CA, USA). The Oxford Hip Score questionnaire includes 12 questions, each scored from 0 to 4, 4 being the highest score (maximum total score, 48) . Plain radiographs were reviewed by a musculoskeletal radiologist (PE) for radiolucency, osteolysis, and resorption of bone grafts [10, 20]. Images with abnormalities were discussed by a team including one radiologist (PE) and three orthopaedic surgeons (JP, TP, and AE) to achieve a consensus regarding the significance of findings. Complete 1-year followup of blood Co and Cr levels (preoperative, 2 months, 6 months, and 12 months) were available for 180 of 198 patients (91%), and for 185 patients (93%) preoperative and 12-month Co and Cr levels were available. Complete 1-year followup Oxford Hip Score questionnaires were available for 104 of 198 patients (53%), and for 151 patients (76%, 121 THAs, 30 hip resurfacings), preoperative and 12-month questionnaires were available. Twelve-month postoperative radiographs were available for all patients. Statistical testing was performed on patients who had unilateral and bilateral hip replacements separately, because we considered it impossible to determine the effect of the contralateral hip on Oxford Hip Score or blood metal ion levels. A patient who had bilateral surgery was one with any type (metal-on-polyethylene, ceramic-on-ceramic, ceramic-on-polyethylene, or metal-on-metal) of hip replacement on the contralateral side. Of 198 patients, 130 (66%) had no contralateral implants. To avoid clustered observation bias in analyses of the differences between preoperative and postoperative blood metal ion concentrations and Oxford Hip Score, we report results only for the first revision. Medians and ranges are reported for patient blood metal ion levels and Oxford Hip Score owing to skewed distribution. Wilcoxon rank sum test was used to describe significance in changes of blood metal ion levels and Oxford Hip Score. Changes in percentages of patients with elevated blood metal ion levels, poor or fair Oxford Hip Score, and moderate or severe pain were analyzed with related-samples McNemar testing. Two-sided p values less than 0.05 were considered statistically significant. IBM® SPSS® Statistics, version 20 (IBM Corp, Armonk, NY, USA) was used for the statistical analyses. Blood levels of Co and Cr ions decreased during the first postoperative year in patients with unilateral and bilateral involvement. The percentage of patients with unilateral involvement who had elevated Co blood levels (≥ 7 ppb) decreased from 73% (66 of 90; 95% CI, 63%–81%) preoperatively to 0% (0 of 90; 95% CI, 0%–4%) in the THA group (p < 0.001, Fig. 2A) and from 56% (19 of 34; 95% CI, 39%–71%) to 0% (0 of 34; 95% CI, 0%–10%) in the hip resurfacing group (p < 0.001, Fig. 2B) at the time of the 1-year followup. Blood Cr levels decreased from 31% (28 of 90; 95% CI, 22%–41%) to 4% (four of 90, 95% CI, 2%–10%) in the THA group (p < 0.001, Fig. 2C); and 56% (19 of 34; 95% CI, 39%–71%) to 12% (four of 34; 95% CI, 5%–27%) in the hip resurfacing group (p < 0.001, Fig. 2D). However, in eight patients with an ultrahigh preoperative Cr value (median, 85.6 ppb; range, 40.6–125.0 ppb), the Cr level remained elevated at the time of the 1-year followup. None of these patients had other known sources of Co or Cr. Seven had normal and one had mildly reduced renal function. Further, their revisions were performed using Ti implants and either a ceramic-on-ceramic or ceramic-on-polyethylene bearing surface, which do not contain Co or Cr. Three years after revision, Cr remained elevated in six patients (median, 11.4 ppb; range, 8.7–14.4 ppb). In patients with bilateral involvement, the percentage of elevated Co blood levels in the THA group decreased from 89% (47 of 53; 95% CI, 77%–95%) to 13% (seven of 53; 95% CI, 7%–25%; p < 0.001), and Cr blood levels from 34% (18 of 53; 95% CI, 23%–47%) to 2% (one of 53; 95% CI, 0%–10%; p < 0.001). All patients who had bilateral surgery with Co or Cr remaining elevated had a contralateral metal-on-metal hip replacement system still in situ. Analysis of hip resurfacings with bilateral involvement was omitted owing to the small number (eight) of patients. A decrease of blood Co was seen for patients who had (A) unilateral THAs and (B) hip resurfacings. A decrease in Cr also was seen for patients who had (C) unilateral THAs and (D) hip resurfacings. In both groups, four patients had greater than 7 ppb Cr remaining at 12 months. Patients with bilateral hip arthroplasties are not included owing to the confounding effect of the contralateral implant. Oxford Hip Scores improved in patients with a unilateral THA and in those with unilateral hip resurfacing when comparing preoperative scores with those obtained 1 year later, whereas no differences were seen in patients with bilateral involvement. In the whole cohort, the median Oxford Hip Score improved from 37.0 (range, 4–48) to 40.0 (range, 9–48) (p = 0.004). In the subgroup analysis, improvement of median Oxford Hip Score from 38.0 (range, 4–48) to 40.0 (range, 9–48) (p = 0.049) was seen in the group that had unilateral THA, and in the group with unilateral hip resurfacing, the score improved from 37.5 (range, 9–48) to 44.0 (range, 13–48) (p = 0.011). In the THA group with bilateral involvement, no improvement was seen in Oxford Hip Score (37.0 [range, 14–48] to 41.0 [range, 9–48]; p = 0.196). The percentage of patients with poor (0–26) or fair (27–33) Oxford Hip Score decreased from 39% (32 of 83; 95% CI, 29%–49%) to 27% (22 of 83; 95% CI, 18%–37%) in the unilateral THA group (p = 0.031). No change was seen in patients with unilateral hip resurfacings (39% [10 of 26; 95% CI, 22%–57%] to 27% [seven of 26; 95% CI, 14%–46%]; p = 0.453), or in THA group with bilateral involvement (40% [15 of 38; 95% CI, 26%–55%] to 29% [11 of 38; 95% CI, 17%–45%]; p = 0.344). The resurfacing group with bilateral involvement (four patients) was not analyzed. The percentage of patients with either moderate or severe pain (Oxford Hip Score question 1) decreased from 37% (31 of 83; 95% CI, 28%–48%) before revision to 16 % (13 of 83; 95% CI, 9%–25%) at 1-year followup after revision (p < 0.001) in the unilateral THA group and from 54% (14 of 26; 95% CI, 35%–71%) to 27% (seven of 26; 95% CI, 14%–46%) in the unilateral hip resurfacing group (p = 0.039). No change was seen in THA group with bilateral involvement (32% [12 of 38; 95% CI, 19%–47%] to 18% [seven of 38; 95% CI, 9%–33%]; p = 0.227). Only minor abnormalities were observed on postoperative radiographs (Table 1). In all hips, the components currently are classified as clinically and radiographically stable. The number of patients with metal-on-metal hip prostheses is estimated to be more than 1,000,000 worldwide . High revision rates have been reported for these hips [2, 27], and a few metal-on-metal implants have been recalled . The effect of revision surgery of a metal-on-metal prosthesis on circulating Co and Cr levels as systemic exposure has been described only in relatively small cohorts [4, 12, 25]. Further, some studies [7, 8, 9, 14, 15, 17, 18, 23, 28] have reported clinical scores after revision surgery in cohorts that have included several metal-on-metal designs revised for various indications. Concerns of impaired bone ingrowth after revisions of metal-on-metal prostheses also were reported . In our study, blood Co levels decreased below 7 ppb in all patients who had unilateral surgery, however, Cr remained elevated in eight of 130 patients (6%). Oxford Hips Scores improved in patients who had unilateral THAs and hip resurfacings when comparing preoperative scores with those obtained 1 year later. No signs of component loosening were seen on plain radiographs obtained at the 1-year followup. We acknowledge some limitations of our study. First, preoperative and 1-year postoperative Co and Cr values were available for 93% of patients, Oxford Hip Scores were available for 76% of the patients, and plain radiographs were available for all patients. Proportion of loss-to-followup was small in blood metal ion measurements and radiographs, but greater in the Oxford Hip Score. This is degrading the value of our results regarding functional outcome, as patients not returning questionnaires usually are more likely to be those not satisfied with the outcome. Second, this is a retrospective study. There might have been variation in criteria for revision surgery among surgeons, and the implants used in revisions were not standardized. There are differences in terms of clinical performance and metal ion release between implant brands. Use of a single revision component would have eliminated the implant as a variable and allowed more reliable statistical analysis. However, use of a maximum of two or three implants would have allowed comparison of different implant types for treatment of adverse reactions to metal debris. Third, in some patients the preoperative Oxford Hip Score was recorded several months before the revision. The symptoms may have progressed between the preoperative Oxford Hip Score recording and the actual decision to revise, so that our results may underestimate the increase in Oxford Hip Score. We saw a decrease of blood Co below 7 ppb in all patients who had unilateral surgery at 1 year followup. In a few patients with bilateral metal-on-metal hip prostheses, Co remained elevated or even increased, but this might be attributable to the confounding effect of the contralateral metal-on-metal implant since elevated Co was not seen in patients who had a unilateral prosthesis. Similarly, Cr decreased in most patients. In six patients with ultra-high preoperative Cr (> 40 ppb), Cr remained elevated 3 years after the revision. In a recent study with 1-year followup, Ball et al. described a less predictable decline for ultra-high Cr compared with Co or low Cr, and stated that Cr may remain elevated for more than a year. Durrani et al. also described Cr remaining elevated in a few of their 16 patients with 12 months followup. They speculated that accumulation of Cr in the liver and spleen , mobilization of Cr stored in the adjacent tissues , or reduced renal clearance may explain Cr remaining elevated. Head components of metal-on-polyethylene bearing surfaces used in revisions contain Co and Cr, which also may affect blood concentrations. However, all our patients with blood Cr levels remaining elevated received Ti components with either ceramic-on-ceramic or ceramic-on-polyethylene bearing surfaces. Even though systemic effects of Cr have been described as inferior compared with Co , we consider Cr remaining elevated for 3 years despite removal of the ion source as a concern. The role of routine blood metal ion measurements after revision surgery and removal of the metal-on-metal hip prosthesis is unclear. There currently is no evidence to support this as routine practice. Our policy has been to systematically measure blood metal ions after revision surgery to determine whether they help in diagnosing recurrent adverse reactions to metal debris and/or residual pseudotumors. In our experience, measurements after revision surgery seem to be reasonable in patients with bilateral metal-on-metal hip prostheses who undergo unilateral revision surgery (ie, who still have the other metal-on-metal prosthesis in situ), and in patients whose pseudotumor cannot be completely excised through the hip during revision surgery (ie, the patient still has a remnant of an intrapelvic pseudotumor after revision surgery). In our cohort, preoperative Oxford Hip Scores improved compared with 1-year postoperative scores for patients with unilateral THA or hip resurfacing but not for patients with bilateral THAs or resurfacing. This may be attributable to a smaller number of patients in the group with bilateral procedures. Further, a poorly functioning contralateral hip may conceal improvement in the Oxford Hip Score. Superior improvement of hip scores compared with ours have been reported for cohorts who had THAs , who had hip resurfacings [7, 8, 28], and for cohorts with THAs and hip resurfacings . Most of these studies analyzed the outcome of revisions performed for various indications, whereas our study included only hips revised for adverse reactions to metal debris. Su and Su  suggested that revisions for unexplained pain or metallosis have inferior results compared with revisions in which the etiology is clear. Grammatopoulous et al. had similar conclusions when comparing revisions attributable to pseudotumors with revisions for other indications. Finally, a factor explaining smaller improvement of Oxford Hip Score in our study is the high preoperative value (median 37.0; the range for a good Oxford Hip Score is 34 to 41 ). Our postoperative median was 40.0, which is similar or higher compared with scores in other studies reporting postoperative mean scores of 23.7 , 38.7 , 20.9 (for pseudotumors) , and 36.5 (median) . Some patients with severe soft tissue damage observed intraoperatively had only mild symptoms preoperatively, and our policy of performing revision surgery in patients with signs of soft tissue damage early results in revisions in patients with relatively high preoperative Oxford Hip Scores. Munro et al. found radiographic evidence of loosening in 24% (four of 17) of their fiber metal acetabular components in a study involving 32 revisions of metal-on-metal THA prostheses. They also observed lytic lines in three fiber metal cups and in one porous tantalum cup. None of the stems in their patients were loose. Ball et al. reported no component loosening in their cohort that had 21 revised hip resurfacings and a minimum followup of 12 months. Eswaramoorthy et al. described nonprogressive radiolucencies in three of 27 revised hip resurfacings. We saw only minor radiologic abnormalities in our patients and no loosening of components was diagnosed. Therefore, we do not consider impaired bone ingrowth a major problem during early followup after THA or resurfacing revisions with a metal-on-metal prosthesis. We found that removal of metal-on-metal implants effectively reduced systemic concentrations of Co and Cr in patients with a unilateral prosthesis, although in some patients Cr levels remained high for reasons not yet fully understood. In patients with bilateral metal-on-metal hip prostheses who have undergone a unilateral revision, the remaining metal-on-metal component still supplies Co and Cr ions, and therefore followup should be continued. Adverse reactions to metal debris do not seem to compromise implant ingrowth after revision surgery. However, as some of our patients still had a poor functional outcome at 12 months after the revision surgery, further research is warranted to determine the optimal time to perform revision surgery in a patient with a suspected adverse reaction to metal debris. Information from centers with a low threshold for revision and centers with a more conservative approach should be combined to define the patients benefiting from revision surgery. We thank Ella Lehto RN, Coxa Hospital for Joint Replacement, Tampere, Finland, for maintaining our study database, and Heini Huhtala MSc, statistician, University of Tampere, Finland, for help with statistical analyses. We also thank Hannu Syrjä MD, Pekka Halonen MD, Pekka Ala-Mononen MD, and Saara Ketola MD, orthopaedic surgeons from Coxa Hospital for Joint Replacement, Tampere, Finland, who performed revision surgeries analyzed in this study, and Anne-Mari Henriksson, Registered Physiotherapist, and Pauliina Soini, Registered Physiotherapist, both from Coxa Hospital for Joint Replacement, Tampere, Finland. American Academy of Orthopaedic Surgeons. Information statement. Current concerns with metal-on-metal hip arthroplasty. 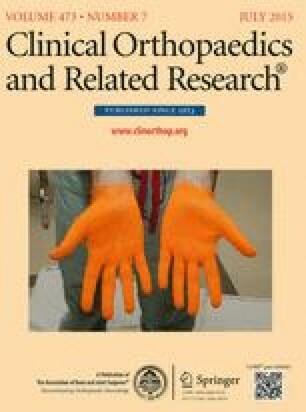 Available at: http://www.aaos.org/about/papers/advistmt/1035.asp. Accessed November 17, 2014. Australian Orthopaedic Association National Joint Replacement Registry. Annual Report 2014. Available at: https://aoanjrr.dmac.adelaide.edu.au/annual-reports-2014. Accessed November 17, 2014. DePuy Synthes. DePuy ASR™ Hip Recall Guide. Available at: http://66.132.135.152/countries_list.html. Accessed November 18, 2014. FDA. US Food and Drug Administration. Medical Devices. Recalls specific to metal-on-metal hip implants. Available at: http://www.fda.gov/MedicalDevices/ProductsandMedicalProcedures/ImplantsandProsthetics/MetalonMetalHipImplants/ucm241770.htm#1. Accessed November 17, 2014. MHRA. Medicines and Healthcare Products Regulatory Agency. Medical device alert: all metal-on-metal (MoM) hip replacements (MDA/2012/036). Available at:http://www.mhra.gov.uk/home/groups/dts-bs/documents/medicaldevicealert/con155767.pdf Accessed November 1, 2014. NJR. National Joint Registry for England, Wales and Northern Ireland. 11th Annual Report 2014. Available at: http://www.njrcentre.org.uk/njrcentre/Portals/0/Documents/England/Reports/11th_annual_report/NJR%2011th%20Annual%20Report%202014.pdf Accessed November 1, 2014.